I love South African creativity. I and two friends went walkabout from our desks and joined a number of English teachers and a whole lot Matrics from various different schools (Hamlet is their Matric setwork this year), to see the first performance of Fred Abrahamse’s Hamlet at the Pieter Toerien Theatre at Monte Casino. I had seen Abrahamse’s brilliant production of Richard III so I wasn’t going to miss this one. Remember this is supposedly a ‘replay’ of one of the earliest productions of Hamlet: ‘In 1608 off the east coast of South Africa, the crew of the East India Company merchant ship, the Red Dragon, performed Hamlet aboard the vessel while at anchor.’ Hence in the opening scene in this production, the make-shift director gives the various crew members their acting parts. Plus the creaking of the ship is the mise-en-scene, referring to the ‘actual sounds’ of the early staging of this production. So with “the play’s the thing” already a part of Shakespeare’s Hamlet plot, another layer of playacting is added in this production. And thus Hamlet becomes even more of an oh- so-quintessential uber-theatre. It’s an amazing production with the simplest of sets, yet so so effective. It’s compelling and accessible although sadly Michael Richardson’s voice projection as Claudius was not great and he spoke way too fast. There’s a wonderful use of screens, of lighting, and of water as a liminal or transitional space: it is sea … referring to the location of the so-called first performance on a ship in 1608… ; as well as moat around a castle; as well as a dramatic space of intimacy and connection. 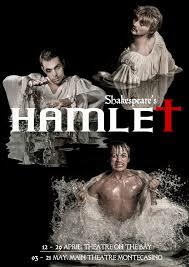 Plus, most convincingly, it’s a metaphor for labile emotions … Hamlet and Ophelia spent a fair bit of time in the water !! While the creaking sounds refer to the 1608 ship’s setting they also suggest the movement of trees on a dark and windy night in the graveyard, or a groaning ship on a journey from Denmark to England. 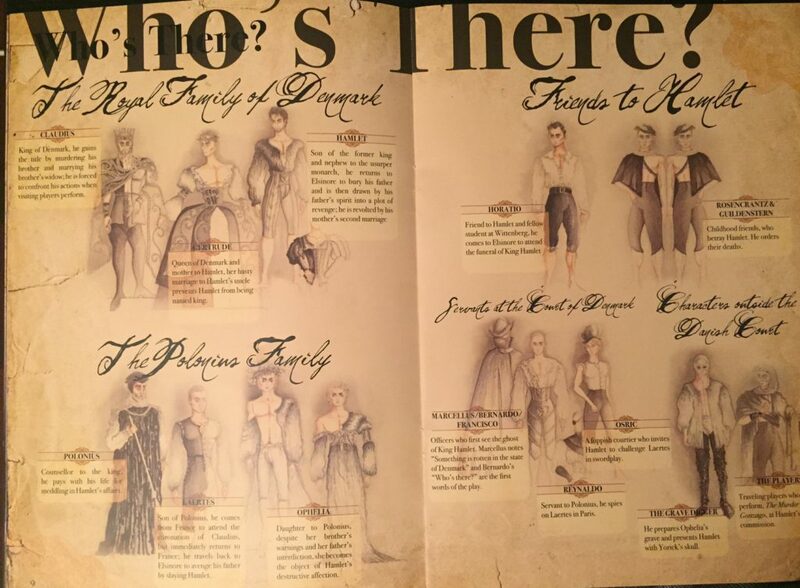 The costumes are simple but fab …. Rosencrantz and Guildenstern are a great pair and Gertrude’s crown is sublime. So many Shakespeare sayings and aphorisms have infiltrated everyday public consciousness and we were amazed, yet again, at how many come from Hamlet. Apart from that most famous of Western soliloquies .. ‘To be, or not to be’ … and ‘This above all: to thine own self be true’, …. Though this be madness, yet there is method in’t. Madness in great ones must not unwatched go. I must be cruel only to be kind. Book at Computicket for the show. And make sure to buy a programme – the best value for money for R20 that you will get in a long time. And if you are from out of town come and stay at Liz at Lancaster Guesthouse, only a 20 minute drive.